Yesterday, I went to Yak restaurant for a night out with my two friends. I joined about two hours late to the table. A table, on the top, it was filled with menu, beers, waters, long island ice teas, chicken lollipops, plates, forks, and napkins; and on the three sides, me and my two friends were discussing everything Tibet, Tibetan, and recent politics. At the time when I joined the table, my two friends were deeply involved in sharing the video in which one of them shared his understanding on the Tibetan spirits. We agreed that Tibetan spirits are stronger and harder than the Jews. I will not elaborate more on it. Here is the link to the youtube video if you are interested http://www.youtube.com/watch?v=JiNG8UrZWJI. We talked about love, women, and then, the irresistible Kalon Tripa election. While talking, I sensed that the lady sitting next to our table was keenly interested in lending her ears to hear our conversations. 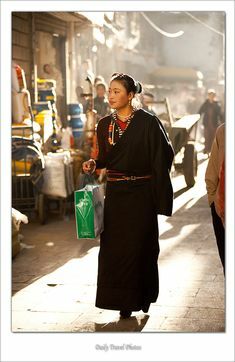 She is slim, attractive, well dressed, untangled hair, few wrinkles, and purely Tibetan. After she munched her dinner, she politely asked us if she can throw a question. Without any hesitation, we welcomed her to join our table and fire questions to us. Her question was something most Tibetan, interested in Kalon Tripa election, would ask. She asked our views on who is the best candidate to vote for Kalon Tripa. Though it seems like an easy question, I was dumb struck. This question weighs much higher than the Empire State building and more complicated than finding a good women. My friend immediately jumped in to share that we are not in a position to answer her question since we both writes for general Tibetan public and so, we have the responsibility "as writers" to remain neutral. I am sure that may be a disappointing answer to the lady. However, I shared the importance of analyzing the candidates based on facts before any Tibetan goes to vote on the Election Day. Through our conversation, it was clear that the lady did her homework on Kalon Tripa candidates though confused with the entire debate and campaign processes. I believe this is true with many lay Tibetans who do not own the skill to analyze and interpret meanings of the meaning. My friend then asked who did you vote for during the preliminary election. She said Tenzin Namgyal Tethong. My friend then asked again, did you vote for him after carrying out some research? She said she did listened to peoples and read about Kalon Tripa candidates. She has her own reason to vote for TNT. My friend then asked, are you confused with your choice for the Election Day? She responded with a head nod. I felt she is indeed a smart lady who believes in knowing the candidates well by any means. One mean she found was us, a group of three friends. Though not helpful, I am sure the discussion itself made her to think wider and deeper. I realized she is a person who is willing to change her preliminary choice of TNT if other candidates have better reasons to provide her to vote for the Election Day. I believe we need more of her in our society. Though not well-educated, she believes in listening, debating, discussing, analyzing, and most importantly, not sticking with one Kalon Tripa candidate. I am sure she will continue to lend her ears to many more avenues in the days to come. Good luck lady. Since she seems to be so much interested in knowing something on the three Kalon Tripa candidates, I shared two weaknesses of each candidate. Lobsang Sangay la is definitely inexperienced in public administration and young in the field of Tibetan politics. Tenzin Namgyal Tethong la lacks the skill to connect to common people and his experience of CTA has a gap, then and now. Tashi Wangi la - If he can do, he should have done it by now in the CTA and change may be hard to come by from him. I hope these few things helped the lady to do more of her analysis on Kalon Tripa candidates. And I hope you will too. Finally, we talked about the importance of Tibetan identity in the United States. Identity that comprises of culture, tradition, language, and religion. I asked the lady how young Tibetans in Lhasa are in terms of preserving their Tibetanness? To my surprise, she replied Tibetans in Lhasa are very Tibetan. They have the spirit. They have the culture. They have the tradition. They have the belief. They have the faith. It was a surprise because I have been hearing a lot about the loss of Tibetan identity in Lhasa with the influx of Chinese immigrants. It seems as my friend said earlier, "Tibetan spirits are strong and unshakable". As in Bollyhood movies, this story has a happy ending too. That is - the lady paid our bills despite our request not to. Thank you Lady. I don't know how much you learned from us but we learned a lot from you. It was a great conversation with a lady from Lhasa whose name I still don't know. The whole experience was like meeting a stranger in heaven.